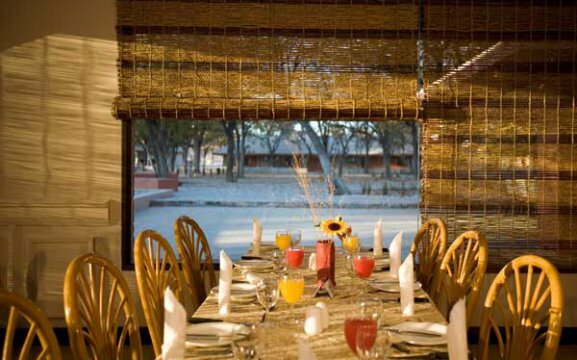 The Halali Resort is situated between Namutoni and Okaukuejo in Etosha National Park. 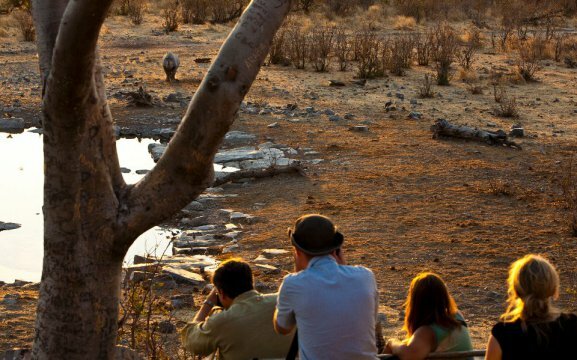 The secluded, scenic floodlit waterhole has varied and abundant amount of Namibian wildlife and is just a short walk from the main camp itself. Our restaurant serves buffet breakfast and for lunch and dinner a la carte menu. 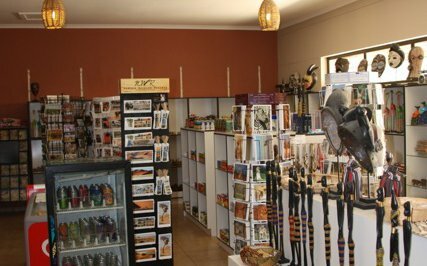 Guests can buy their curios at our tourist shop at the reception. 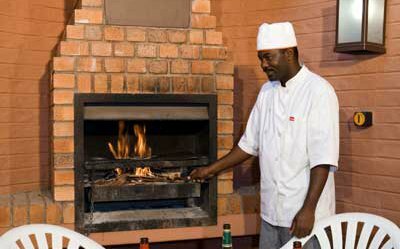 Halali Resort offers Double Rooms, Family Chalets, Two Bedroom Bush Chalets, One Bedroom Bush Chalets and Premier Bush Chalets. Our rooms feature en-suite bathrooms with complimentary toiletries, air-conditioning, lamps, tea/coffee facilities, mosquito nets over the bed, a small lounge and a minibar. The family chalets are self-catering. 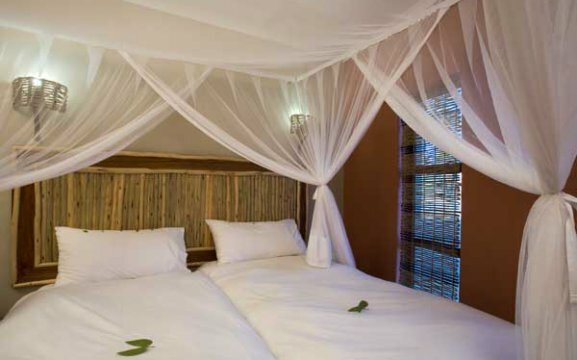 They feature air-conditioning, two rooms with twin beds and mosquito nets, spacious lounge, kitchen and bathroom. Outside you will find a shaded entertainment area with barbeque facilities. These are closest to the waterhole. 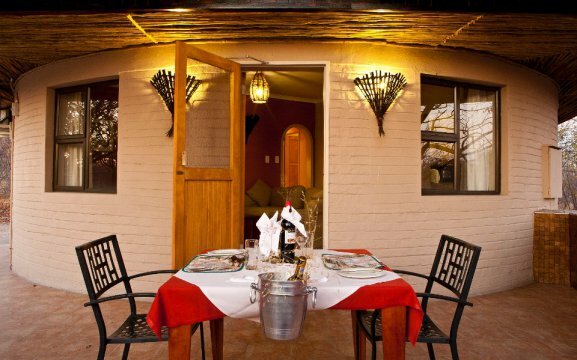 The two bedroom bush chalet features two rooms with a shared bathroom, air-conditioning, mosquito nets, open plan lounge with kitchen and a built-in braai outside on the terrace. 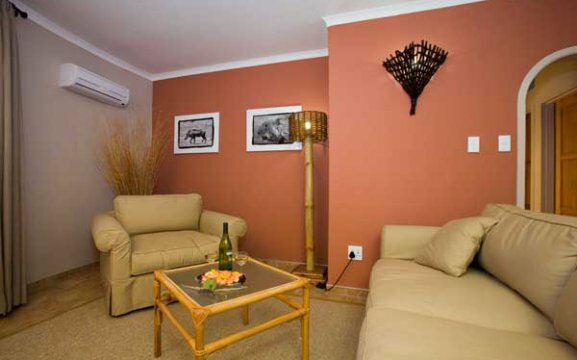 Our one bedroom bush chalet is a small one bedroom with separate bathroom, air-conditioning, mosquito nets and sliding door that leads to a pebble-floored open patio. 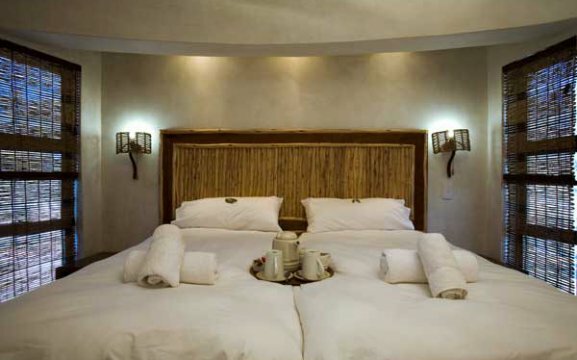 The 5 premier bush chalets feature en-suite bathroom, queen-sized bed with mosquito nets, a private garden area with jaccuzzi, air-conditioning, a minibar and tea/coffee facilities. This is ideal for honeymooners. Halali Resort also have camping facilities. Halali offers morning, afternoon and night game drives. 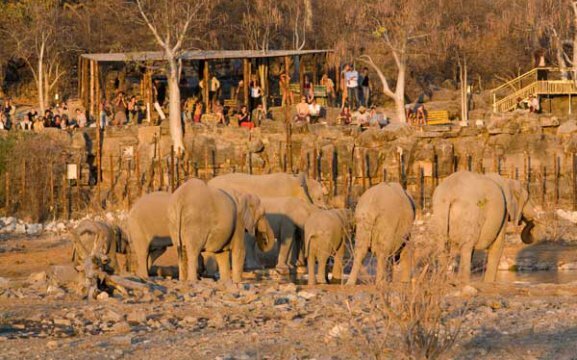 Self-drive is also allowed, where guests will see lots of animals at the different waterholes. At the resort is a flood-lit waterhole where you will see exceptional wildlife throughout the day til night time.